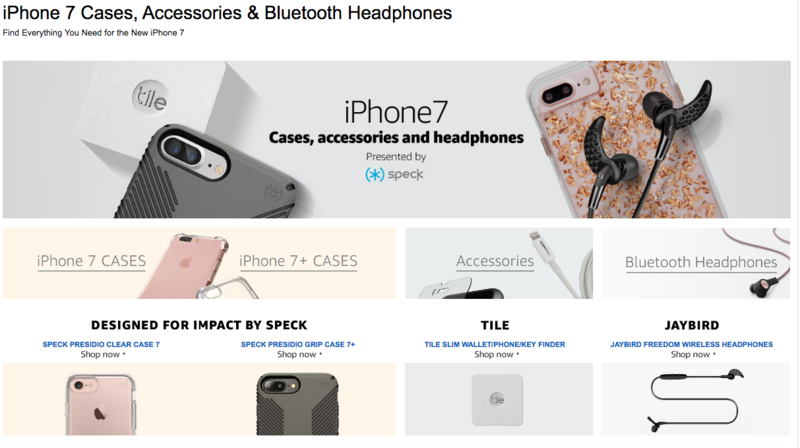 Ahead of Apple's press conference that's rumored to reveal the next iPhone 7 and additional new announcements, Amazon seems to have spilled the beans on the iPhone 7. While the page has been taken down already, the internet never forgets, and as such we've had a chance to look at some of the cases available for the phone. The images show off dual back-facing cameras and spotlights Bluetooth headphones. It's unclear from the images if the headphone jack has indeed been removed, but from the advertisement we can likely safely assume it has been. It's not something I'm super excited about, but dual cameras are an interesting augment if these images aren't just mockups. It's likely these images mirror exactly what we're about to see during the event, though, so it's curious who flipped the switch on such an important page so early. If that is the case, it looks like you just got an early Christmas gift if you're an Apple fan. We'll have more on the iPhone 7, if it is indeed revealed, coming up.